It wasn’t just the nuclear fallout in the milk that concerned most people during the late 1950s and early 1960s, there was a genuine fear that the world was on the verge of an all-out nuclear war between Russia and America that would end life on the planet or make it rather awful for the few survivors. These anxieties were heightened by the Cuban Missile Crisis of 1962 and were reflected in a series of novels, films, and TV dramas that predicted humanity’s seemingly inevitable nuclear annihilation at the push of a button. 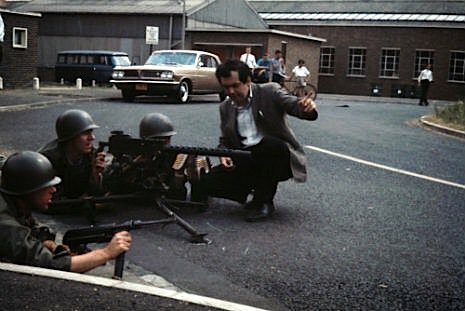 When Stanley Kubrick optioned Peter George’s book Red Alert (aka Two Hours to Doom), he intended to make a faithful film adaptation of the George’s chilling tale of near nuclear armageddon. 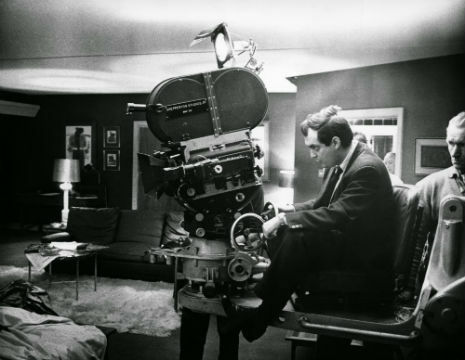 But as he researched the subject and began work on a script with the author, Kubrick found the proposition of nuclear war utterly absurd and decided to make not a thriller but “a nightmare comedy” that satirized the insanity of two countries arming themselves with such horrific weapons of mass destruction. 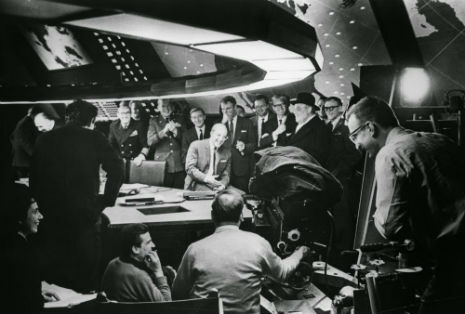 Kubrick considered telling the story of Earth’s nuclear demise from the point of view of visiting extraterrestrials, but didn’t think this approach had the right amount of “inspired lunacy.” He then decided to bring in author Terry Southern to write a story using George’s novel as a loose framework to play up the comedy rather than the thrills. 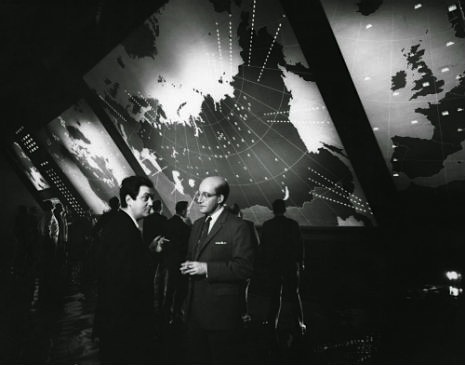 The result was Doctor Strangelove or: How I Learned to Stop Worrying and Love the Bomb—“the most perfectly written comedic screenplay of post-war cinema,” as critic Alexander Walker described it. 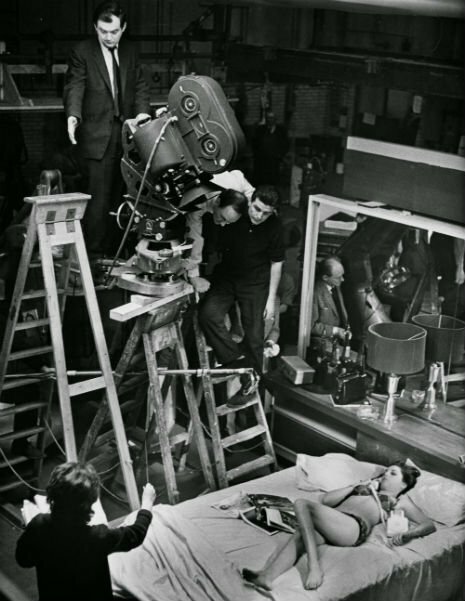 Dr. Strangelove was also the film that brought Kubrick’s unique visionary talents as a director to the fore. 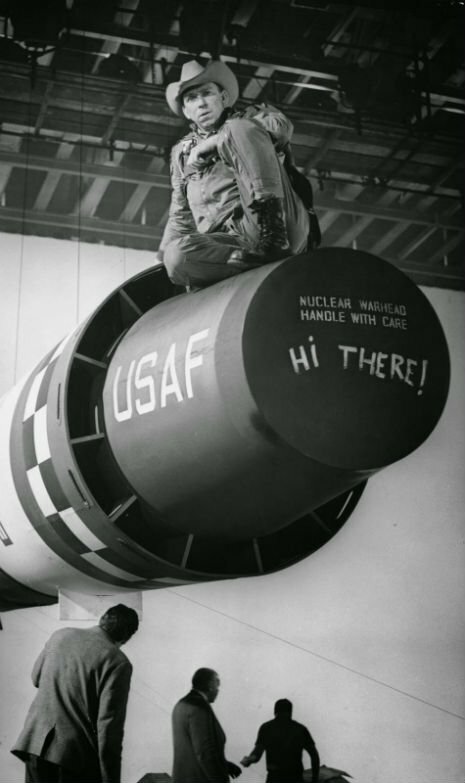 Slim Picken’s character Major T.J. “King” Kong about to ride the bomb into Russian base. Major Kong describing survival kit contents.